I’m reading to get hot for summer with Jillian Michaels and Gaiam TV! When I first heard about Gaiam TV – I was so excited and thought it is such an ingenious idea! Gaiam TV is basically a library full of amazing videos – a Netflix for fitness workouts, health, wellness, yoga, etc. There are over 2,000 titles in Gaiam’s library! –There is something for everyone. The instructors of the fitness workouts are top instructors! Since the videos are all streamed videos, you can access them whenever you want – twenty four hours a day! This means you have no excuse not to workout. Even if you’re on vacation – you have access to these videos! What is great is that Gaiam TV offers the streaming capability in not only computers but iPads and smartphones, too. How much more convenient can you get? Based on what your fitness goals might be(weight loss, total body sculpting, increased energy, etc.) you can customize you’re the fitness video you are going to workout to. You also have the ability to search for videos based on what your level is, how much time you have to workout, workout style, etc. This help insures that you’ll find the perfect fitness video for you! Prospective subscribers are offered a free ten day trial to see if they like it before they subscribe! The subscription fee is a mere $9.95/month – this gives you unlimited content to stream. (The subscription to Gaiam TV is non-committal with the ability to cancel any time.) Most of the videos offered cost more than the subscription fee for one month! I’ve been trying out Gaiam TV and thoroughly enjoying it. I started doing a couple Jillian Michael videos and boy let me tell you – I am sore. (And loving it!) She is so motivating and energetic – makes your workout go by quicker! Go get your workout on! 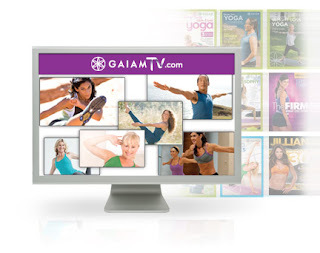 Remember - Gaiam TV offers a Free 10-day Trial, No Strings Attached! Thank you, Gaiam TV, for allowing me to try your amazing services out! i will have to share this with the mr. he has been looking for workout programs he can do from home. 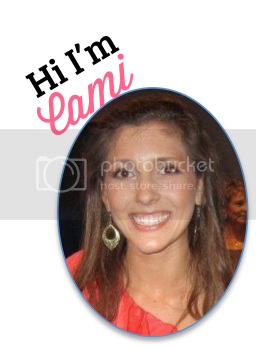 Great post, Cami! Thanks for spreading the word.